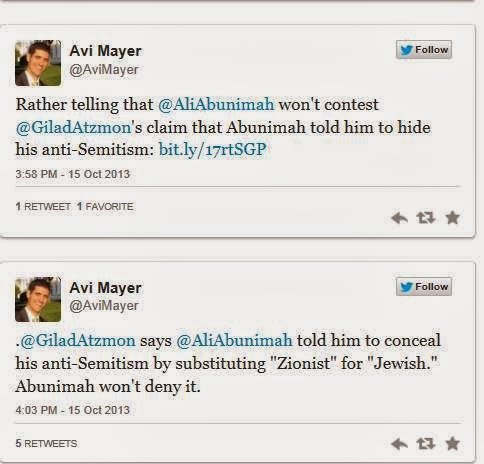 How can anyone have any discourse or contact with one of the prime "Enablers of the War Against the Jews"..? 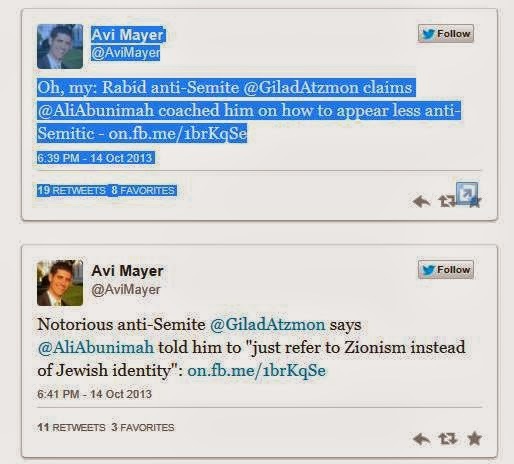 The man is a self-hating Jew of the kind that makes the world's anti Semites look realtively tame! The man is an "untouchable" bugle player. Leave well alone. Zionists certainly do hyperbole in spades. Atzmon is an annoying pest and anti-Semitic but one of the world's prime anti-Semites? Let me cite someone who was a good example of what you say, viz. Alfred Rosenberg, Kommissar of the East, responsible for the deaths of hundreds of thousands of Jews and Russians and hanged at Nuremburg. ‘Zionism must be vigorously supported in order to encourage a significant number of German Jews to leave for Palestine or other destinations … Rosenberg’s argument that the Zionist movement could be utilized to promote the political, economic, social and cultural segregation of Jews in Germany, as well as their emigration, was eventually transformed into policy by the Hitler regime after 1933. 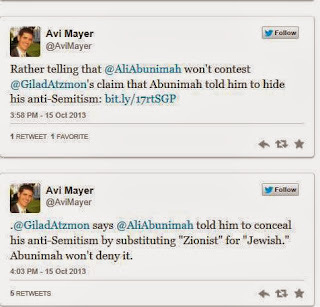 As it happened Ali Abunimah responded to Atzmon as a matter of politeness when he was unaware of his reputation. That is somewhat different from Zionists who collaborated and justified creatures like Rosenberg. Thanks Mark. I'll take a look at it now.